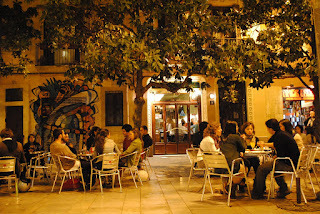 If this is your first trip to Gracia, this is the place to go! 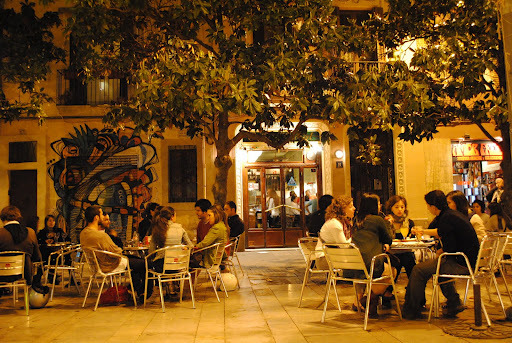 This bar is in Plaça del Sol, and really represents the heart of Gracia. The Plaça itself is a wonderful place to go and drink in the sun (thus its name!) and is full of peeps from all walks of life. Expect to find a plethora of bars here including of course this one! 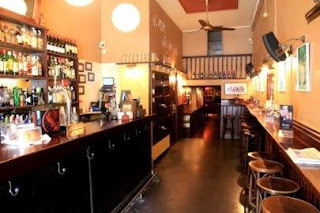 It not only has a bar area, a backroom, an upstairs but also a good terrace. Musically, there is a DJ knocking out a variety of tunes at weekends and the bar staff here can understand English. The atmosphere here is extremely good, you'll find everything from locals to ex-pats, students and of course our tourist friends. This is therefore a great place to meet people and although you'll pop in for a quick drink, don't be surprised to find yourself staggering homewards at closing time. All in all, though this isn't my favourite bar in Gracia, it's a great place to go and drink and get yourself acquainted with this great area. Update 2017: The Plaça del Sol and this eponymous bar have gone through their ups and downs over the past decade; suffering from being a favourite hangout place for some of the area's more unsavoury (if ultimately harmless) characters that often bothered the Plaça's patrons. Fortunately over the last few years there has been an effort by the local residents and authorities to clean up the Plaça, and it is now a much nicer place to hang out and chill on long summer nights. Although Gracia is a great area to go out in, and Placa del Sol is a favourite, I feel like the Placa, and Cafe del Sol in particular have gone downhill recently. By all means visit Place del Sol, but go to one of the better bars, like Sol de Nit, Mond Bar or Woody's. Better yet, use our "Areas" facility to check out some of the other great bars in the general Gracia area.